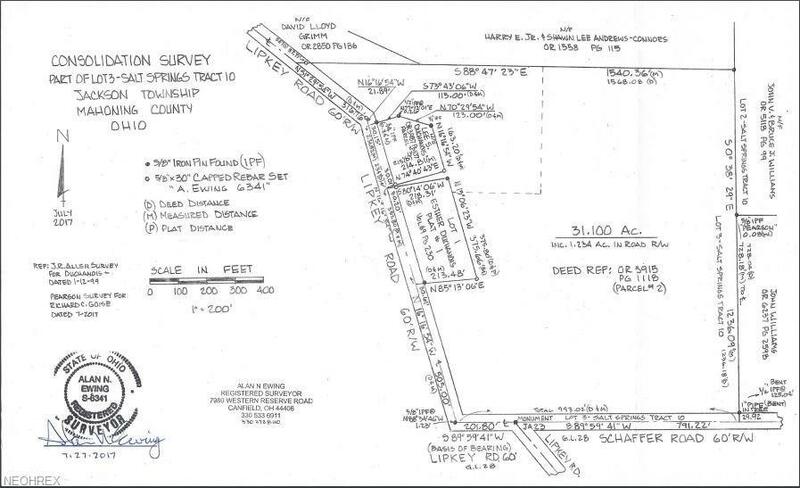 31.1 Ac on the north east corner of the intersection of S Lipkey Rd and Shaffer Rd., There are two outbuildings on the property in an unknown condition. Must be sold simultaneously with 40 Ac parcel on West side of the road. Jackson Milton LSD, survey recently competed. Call Angela for details.